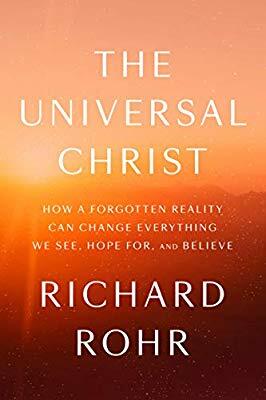 This is an evaluation and critique of Richard Rohr's The Universal Christ, not a book review. I am unable to comment on all the ideas found in the book, so I had to choose what seemed most significant and relevant. The focus is on three major areas: Perennialism, Panentheism, the Jesus/Christ distinctions and errors, and related examples. When deemed convenient, page numbers are provided in parenthesis. Quotes from scripture are in italics, and quotes from Rohr retain the original italics. The Perennial philosophy does not teach that all religions are the same. Rather, it is the belief that although religions are diverse extrinsically, at their innermost core they are united in a single truth and in the religious experience. (I am not an expert on perennialism, so this is my best effort at describing it). Perennialism was made currently popular by Aldous Huxley; major figures often classified as perennialists have been Joseph Campbell, Huston Smith, Stanislav Grof, Ken Wilber, Andrew Harvey, Deepak Chopra, and Alan Watts (who popularized Zen Buddhism in the West). Not all of these would necessarily identify as perennialists, however. Rohr has ties with Ken Wilber, an admitted perennialist, and has supported some of Wilber's philosophical and spiritual views. Wilber, a non-Christian perennialist with Buddhist leanings, has formulated what he calls Integral Spirituality. Rohr approvingly references Wilber's system of "Spiral Dynamics" several times in this book. It is easy to find in Rohr's blogs many approving references to Perennial philosophy. In an audio interview of a professor who considers himself a "Christian perennialist," Dr. James Cutsinger agrees that Christ is God but asserts that Christ also exists outside the historical Jesus and can be "embodied in Buddha, or Krishna, or in the Holy Quran; there can be many, many different manifestations without compromising that phrase, 'no one comes to the Father except by me.'" (Audio interview of Dr. James Cutsinger, professor of Theology and Religious Thought at the University of South Carolina at https://bit.ly/2unB8YR). Dr. Cutsinger takes the word "Logos" from John 1:1 and states that the Logos is a principle or consciousness present in various incarnations. Rohr writes that the Logos is the "Primordial Template" for all creation (misinterpreting John 1:3). Logos is made into an impersonal principle by Rohr and separated from its specific application to the historical person of Jesus Christ (13). To clarify my definition of "Jesus Christ" in this evaluation, I am referring to the historical Jesus revealed in the biblical canon, who is fully man and fully God. Christ, the Son of God, added humanity to his deity for the incarnation. Jesus and Christ are one and the same. Rohr openly admits to panentheism in his blogs, and on page 43 of this book. Panentheism is the belief that God is contained in creation, and creation is contained in God, with God also transcending creation. "God is hidden in the dirt and mud instead of descending from the clouds," writes Rohr (119). Panentheism alters the nature of God as revealed in Scripture. The panentheistic God reacts to and has a relationship with creation such that God is not totally independent of creation. (See section on panentheism in CANA article on Voskamp's One Thousand Gifts). Panentheism is not the biblical belief of God''s omnipresence. Biblical theism does not deny God's omnipresence nor his activity in the world. It asserts that God created the world out of nothing and is therefore distinct from it. God is omnipresent because he cannot be contained in any one locale, yet he remains distinct from his creation. This book brims over with overtly panentheistic statements such as "God loves things by becoming them," and "God joined in unity with the physical universe" at the moment of creation, which was the "first incarnation." What Rohr calls the "Divine DNA" is in all creatures (28). Later in the book, Rohr offers a meditation to "rewire you to see all things in God, and God in all things" (225), and a poem for meditation which includes the line that "a mirror, the sun, and God are all the same." "Christ absorbs in Himself all distinctions, being to all alike, everything that they need for justification, sanctification, and glorification." (From Bible Hub). The putting on of the new self is the same for all believers in Christ. Christ unifies all believers in him; believers are one in him. This passage is about only those who have trusted in Christ. First Corinthians 15:28 is another passage appealed to by Rohr to support panentheism. "And when all things shall be subdued to him, then shall the Son also himself be subject to him that put all things under him, that God may be all in all." "The restoration of God's kingdom over the moral and spiritual part of man was the object of Christ's Mission on earth." This is the consummation of God's redemptive plan through the victory of Christ, not an endorsement of panentheism. For explanations of Colossians 1:17 and Ephesians 1:10, also cited by Rohr, see section on Panentheism in CANA article on Voskamp's book, "One Thousand Gifts." Romans 1 teaches that creation is evidence for a Creator and that this makes everyone accountable for knowing there is a Creator God. Creation reflects a Creator God, but the Bibles does not teach that creation is in God nor that God is in creation. "Christ is a good and simple metaphor for absolute wholeness, complete incarnation, and the integrity of creation. Jesus is the archetypal human just like us (Hebrews 4:15), who showed us what Full Human might look like if we could fully live into it (Ephesians 4:12-16)." Hebrews 4:15 states that Jesus Christ lived as a man so he can sympathize with our weakness yet was sinless. The Ephesians 4 passage is about Christ as the head of the church. It is not Jesus and Christ; they are one and the same. The Jesus in Mark, Matthew, and Luke is different from "Christ' in the Gospel of John due to the "I AM" statements given in John (26). When Christ said, "I am the Way," asserts Rohr, he was speaking of the Way by which all humans and all religions must "allow matter and spirit to operate as one." These supposed differences are based on the faulty meaning Rohr reads into the words. When Mary sees the resurrected Jesus, alleges Rohr, she realizes he is still Jesus, but he has "fully become the Christ" (191). Rohr repeatedly makes Christ a word for a being who has encompassed creation whereas Jesus was the human figure who embodied this greater Christ. That Jesus is less than "the universal Christ" is clearly Rohr's view. Jesus never asked to be worshiped, only for us to follow him (32), claims Rohr. However, Jesus made several statements indicating equality with God. A case can be made for this as well as for worshiping Jesus, but that is beyond the scope of this article. Rohr interprets Jesus' parables about inviting others to the banquet as opening the door to all, rather than the point that the gospel would go to the Gentiles as indicated in Old Testament prophecies such as Isaiah 65:1; Hosea 2:23b; and Malachi 1:10. Rohr repeats in several ways that this "larger" Christ is seen in everyone and in everything, including other religions, fish, flowers, dogs, honeybees, a mountain, and beetles. We are "saved 'in Christ', and as Christ" (37; italics in original). Rohr spiritualizes Jesus instead of taking the literal meaning. For example, the risen Jesus is a "parable about the journey of all humans, and even the universe" (114). This type of thinking pervades the book with numerous examples. "Jesus is the here, Christ is the depth of here," explains Rohr (118) in one of his many catchy phrases. Elsewhere, he encapsulates both panentheism and his Jesus-Christ distinction when writing "If Christ is the source and goal, then Jesus is the path from that source toward the goal of divine unity with all things" (216). Rohr insists that Paul did not write about Jesus, but rather he wrote about the Christ (39-49). Paul was "interior and psychological," so for the first fifteen hundred years of Christianity, Rohr argues, the church did not really understand Paul. Paul understood Christ had to be acknowledged within before he could be "recognized without as Lord and Master," so God must be revealed in us before he can be revealed to us, claims Rohr, and misinterprets 2 Corinthians 13:5-6 to support this. Paul's use of the term "in Christ" indicates that "humanity has never been separate from God, except by negative choice." Rohr cites Ephesians 1:9 for this but is repeating his other errors of panentheistic interpretations. He writes this could also be called the "collective unconscious." Jesus holds together only "one group or religion," whereas Christ "can hold together everything" (47). According to Rohr, this was a paradigm shift recognized by Paul about the Christ. Rohr goes after the penal substitutionary atonement with vigor. In this, he is like many of the Emergents/Progressives who have attacked it. I do not know if Rohr influenced them in this area, but it's possible since he has strong ties to them. Rohr refers to Ezekiel 16, a passage Rob Bell focuses on in Love Wins. (See CANA article on "Love Wins"). There is "original goodness," not "original sin." Because of the doctrine of sin, Jesus was presented as a "mop-up exercise for sin" (62) and a punisher in the future. Rohr redefines sin as not meeting the "Divine Personality" due to hate or fear. It does not matter what one calls this "Personality" because God "does not seem to care at all" (175). Throughout the book, Rohr dismisses the idea that individuals need salvation, even calling it an "anemic notion." He scoffs at Adam's sin as being "a single sin committed between the Tigris and Euphrates rivers" (p. 27) as though it is of no account. The cross was not God's judgment on sin, but rather "God's great act of solidarity" with everyone and everything in creation (33); it is "a statement from God that reality has a cruciform pattern" (147). Rohr argues that "salvation is not a question of if but when" (225). This is because Rohr believes everything and everyone will be swept into the final point of perfection drawn to that end by Christ. "All who look at the world with respect," writes Rohr, "even if they are not formally religious, are en Cristo, or in Christ" (120). In a dialogue imagined by Rohr, Jesus states from the cross, "I am yourself. I am all of creation. I am everybody and every thing" (156). "Christ is both the Divine Radiance at the Beginning Big Bang and the Divine Allure drawing us into a positive future." "We are all saved in spite of our mistakes and in spite of ourselves." "It is no longer about being correct. It is about being connected." Rohr does not deny the physical resurrection of Jesus but believes that Jesus did not know his full divinity until after the resurrection. The resurrection allowed the body of Jesus to move "beyond all limits of space and time into a new notion of physicality and light --- which includes all of us in its embodiment" (178). The resurrection of Jesus is the undoing of hell and Rohr refers, rightly or wrongly, to several sources for this, from Pope Benedict to Eastern Orthodoxy to writers who have written on hell as mythological. Rohr's view is that God is now restoring and will restore everything and everyone. Rohr frequently refers to going inward to seek answers from inner experiences. He emphasizes experience and states that both Jesus and Paul "trusted their own experience of God against the status quo of their own Jewish religion" (116). Jesus was never against the laws of God because he fulfilled the law. Paul taught that Jesus fulfilled the Jewish prophecies. Rohr's center is called the Center for Action and Contemplation for a reason. He heavily promotes the "contemplative tradition" of the mystics, in particular, Thomas Merton. He goes into this in Chapter 16, discussing the need to develop a nondual mind. We need a prayer that "invades our unconscious." It should be some form of Centering Prayer, walking meditation, shadow work, or a period of silence, advises Rohr. Jesus asked his disciples who men said he was, and then who they thought he was. Due to Rohr's popularity and influence, it is a grave matter that this book gives the wrong answer to that question. My prayer is that anyone who reads this book would be discerning and use God's word as the filter.